Buy cotton athletic sweat headband. 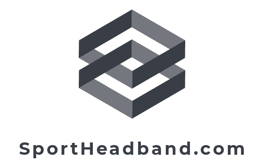 Use Couver's sweat head bands for basketball, baseball, football, volleyball, soccer, Frisbee, softball, tennis, tee ball, summer camps, any sports activities. The headbands(head sweatband) we carry at Couver are top quality. The terry cloth and elastic construction makes these sweat head bands incredibly durable and extremely comfortable. The colors that are available have every team covered. Any team color can be found with our athletic headband.